Boxes, tape and bubble wrap for moving. The Packaging Store has all the supplies you need for any size move. We've been helping people to prepare for moving for over 30 years by carrying quality moving supplies at competitive prices. Boxes, packing tape, furniture pads, bubble wrap, peanuts, and other packing supplies for moving are all available for immediate pickup or delivery to your home or office. We are the most comprehensive and experienced moving supply company. 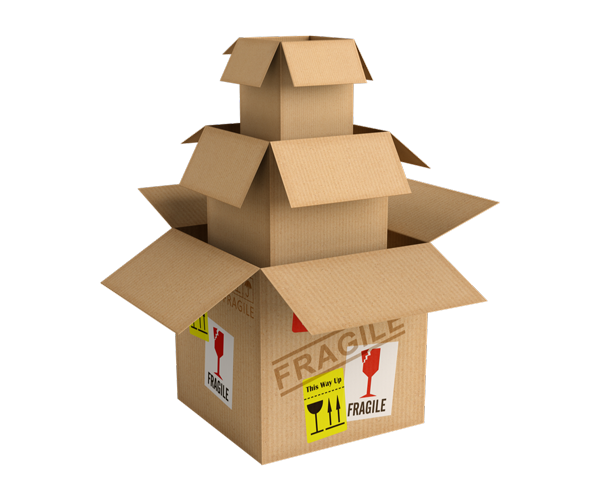 We have packing materials, boxing and crating experts ready to build custom packaging if needed to ensure the safe moving of your fragile household or business items. We even have foam injection and foam-in-place services, for moving fragile pieces like blown glass artwork. Moving time is busy. We can help by delivering all of the packing materials from your checklist of supplies for moving. You'll never have to substitute a pillow for packing foam or switch out a blanket for bubble wrap ever again! We have experience with safely moving antiques, art, electronics and other hard-to-move items. We specialize in fragile, large, awkward and valuable items. Save money and buy moving boxes and supplies directly from The Packaging Store.